In a recent conversation with a clinical psychologist, I learned that we generally become our habits or, in fact, our habits become us. Accordingly, to change, to grow, to transition and to flourish, we have to work very hard at changing those habits that are not benefiting us personally: over indulgence, negativity, low self-esteem, or whatever the issue(s) may be. How does this apply to an organization? Every organization that I have ever experienced has a distinct personality and, in its own way, habits, as well. 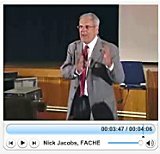 Sometimes the personality of the organization is imposed by its leaders, but usually there are layers and layers of practice that have become part of the culture of that organization; practices –for better or worse– that have accumulated over time. 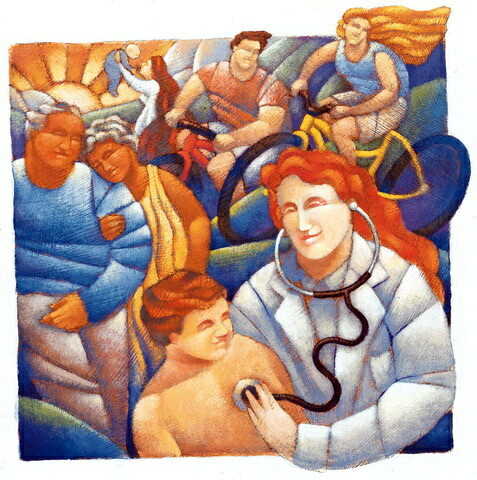 My observations of numerous hospitals have also provided me with an understanding of the myriad of habits that no longer make sense in today’s world; habits still being embraced that literally produce negative results, and are not only insensitive to the needs of both the staff and the patients, but also are many times intellectually and emotionally caustic to all participants. We’ve written several times about the disparaging nature of the “parent-to-child” management styles prevailing in many hospitals amongst staff, physicians, and administrators, but this is just the proverbial tip of this particular iceberg. Many hospitals are wonderful examples of business models that flourished during the Industrial Revolution. Employees still swipe time cards into time clocks, bells and pagers go off all day and all night; professionals poke and prod patients without any explanation. 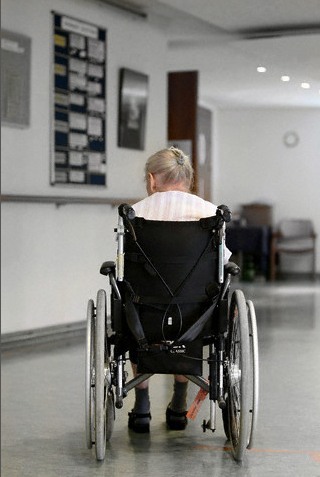 How many times have you observed the 84-year-old being wheeled into a cold, uncarpeted hallway, parked near a wall with nothing to see, nothing to do, and no one to talk to for long stretches of time while waiting for tests about which he or she knows very little? In many hospitals patients are referred to by staff members by their body parts: the kidney in 101, the heart in 543, the stroke in 300. It is also common that the procedures administered are at the total convenience of the staff and docs without much consideration for the patient. Numerous hospitals still ask loved ones to leave promptly at 8:00 PM each night, and many times bad news is delivered via the phone. 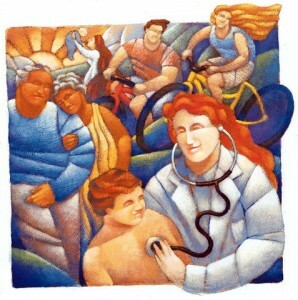 Consequently, the blog name, HealingHospitals.com which may seem almost like an oxymoron, is intended to help us all to create environments for healing. For the most part, we can probably agree that it would be great if hospitals were places where you could go to begin that healing process. We might even agree that it would be wonderful if we could be nurtured there, to be helped to find the road to recovery through healing, and even more dramatically, to have a transformational experience that would help us break or modify those habits that keep bringing us back. It would also be fantastic if, at the end of life, our loved ones could be admitted to control pain, or if the family could have respite. More importantly, it would be amazing if relationships could be healed before the transition to the other side. That should be the motto of every outgoing president. You did the best that you could. You did what you thought was right. You gave it your all, but when the power changes, when the new world order takes shape, and when you fly off to your new life, it will be forever evident that what you did will not be what your predecessor will do. It will not be what you fought for, believed in, or worked so hard to accomplish. So, never look back; George W., Bill, George, Jimmy or Nick. It was what it was; it is what it is, and you can’t change either the past or the future. You can only go on with your life. With the changing of the guard this week in Washington D.C., the entire process was very moving to me. Things that are being proposed seem so obvious, so clear, so amazingly right, but they too will most probably be disassembled almost before the door is closed on our next president’s final helicopter ride. The only worst situation would be if all of President Obama’s former loyal leaders would stay behind and make those disassemble decisions on the next inauguration day. In the raw emotion of abstract observation, it dawned on me that, my time as a president is over, too and that change will happen as it is permitted to happen by the leadership left behind. It also became clear to me that my role should now be one of elder statesman not that of interfering has been. “We built this city on rock ‘n roll” is a song that plays over and over in my head. In our case, we received international recognition because of the uniqueness of the institutional soul that evolved there. It was an open, progressive environment, but, more importantly, it was an environment filled with positive energy. My role now as elder statesman is to offer advice only if asked, to realize that my time is indeed over as a president, and to help those who believe in what we once created to do the same for their organizations. It is not to attempt to stop motion, no matter which direction it is flowing, but this part is damn hard, and I don’t have a library to focus on building.